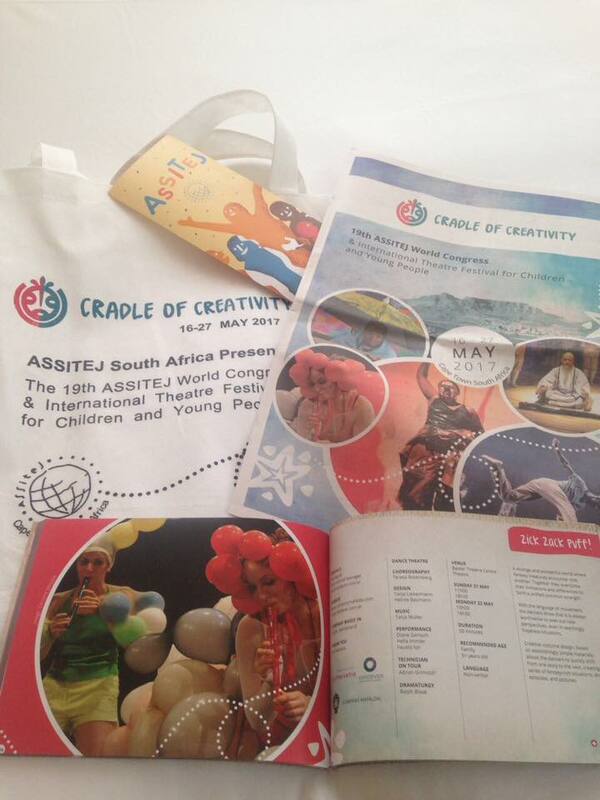 From May 17th to 27th we will be at “Cradle of Creativity” ASSITEJ World Congress and International Theatre Festival for Children and Young People in Cape Town, South Africa. 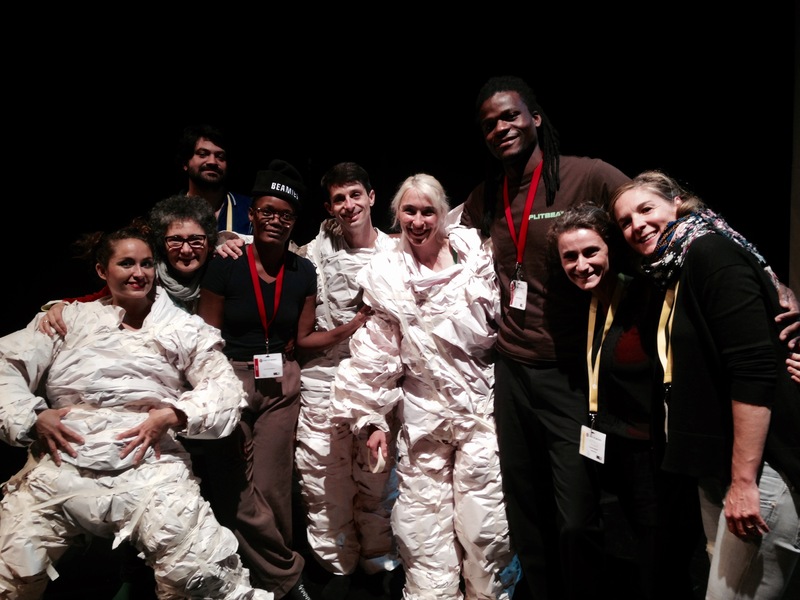 We are honored and happy that ZICK ZACK PUFF, our dance show for children by Company Mafalda (Switzerland), has been selected to be part of this meeting. 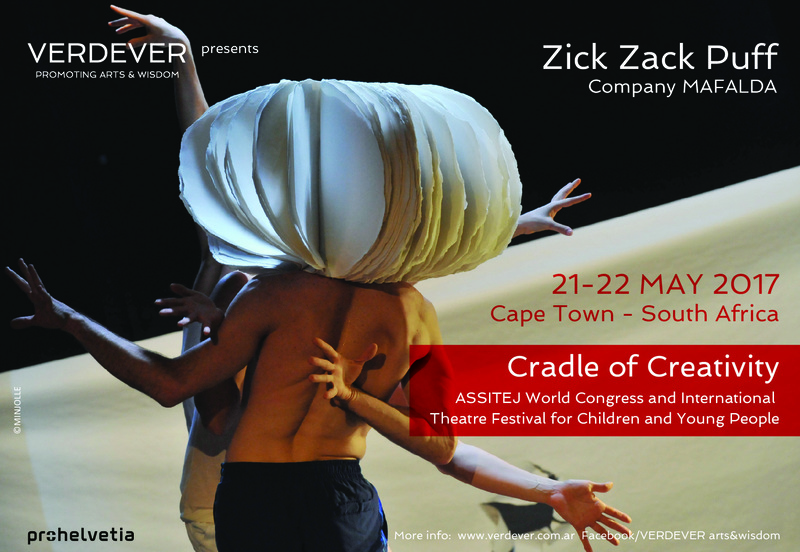 Over 100 countries will be there to celebrate the 19th ASSITEJ World Congress and International Theatre Festival in the 52 year history of ASSITEJ International and the very first on the African continent. 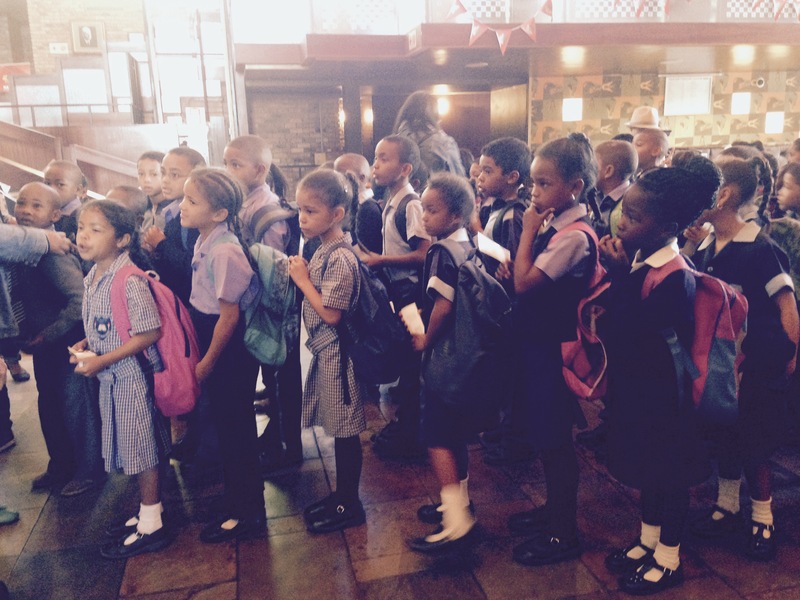 You are welcome to see the show on the 21st and 22nd of May 2017 at Baxter Theatre! More information >here<.